Everything around us is changing with an exponential rate and thanks to the fast growth in technology! A few years ago we never thought about so many varieties of hand held mobile devices. Tabs, phones, phones the size of tabs , you just got to name it and everything is available ! Like for example Asus Zenfone2 which was launched in the market recently has so many features that it can be your favourite phone in no time ! And why is that? Because, the phone is packed up with features and at the price which it is available is just wow! For all the game lovers it would be great because it has a 5.5” screen and HD graphics and to add to that a 4 GB RAM and 2.3 GHz quad core processor. For my selfies addict friends this one is would be perfect because the Asus Zenfone 2 has a front camera of 5 Mega pixels and a primary camera of 13 mega pixels , plus clicking the selfies are so easy because of its ergonomically designed body! More power to the selfie addicts! Yayyy! And for people like ( read : careless carefree and klutz) there is gorilla glass for the times when you drop the phone while being yourself! Oh and one more feature for us ( out of the many, many features this has!) is that zenfone 2 has a 3000 mAh battery that keeps it running the whole day ! so no need of carrying a charger with you always! Zenfone 2 also comes with the Asus BoostMaster Technology which charges the battery at double the normal speed and they also claim that with 39 minutes of charging, the battery gets fuelled up to 60%. 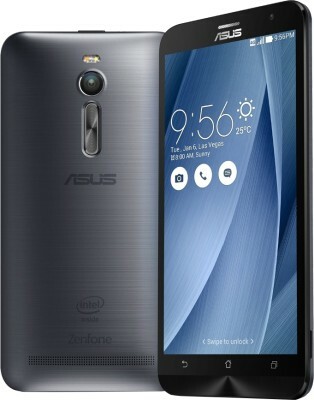 This is also a 4G enabled handset from Asus, so that you can be one step ahead ! And as far as the memory is concerned asus gives you a lot of flexibility! You can expand up to 64 GB with a microSD card and along with that you have internal memory of 32 GB ! Pheww, these are a lot of features to sum up! And honestly I would grab a phone like this because this is just the tip of the iceberg!